Host your next event at Camp Wood YMCA! Planning a retreat or reunion? 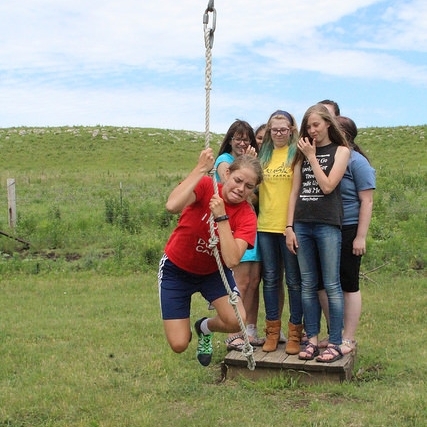 Camp Wood YMCA offers a beautiful Flint Hills setting for your event. From dining services to overnight accommodations to group activities, we provide your participants with everything needed for a memorable experience. Contact our Retreats Coordinator at (620) 273-8641 or at events@campwood.org to begin planning your event today. Explore our Retreats and Reunions Guide, learn about our rates and browse images of our facilities below. We offer lots of fun activities for your group during your stay. Browse photos of available activities below and then see group rates for each activity with the Our Rates button above. In addition to hosting family reunions and retreats, Camp Wood YMCA is also a gorgeous venue for weddings. Learn more. In addition to the activities above, groups can also sign up for the mudslide, slingshot paintball, and day-use activities including basketball, tennis, skateboarding and hiking. Rates for all activities are listed on our Rates Sheet. By renting facilities and services through Camp Wood YMCA, you support our values of youth development, healthy living and social responsibility. In addition, we hope you will appreciate our setting in the beautiful Kansas Flint Hills. Finally, your support helps us to ensure that no child is turned away from summer camp for financial reasons. Thank you for considering Camp Wood YMCA for your event!